The government is planning to allow duty-free imports of white sugar on private account. Next week, the Cabinet in its meeting is likely to also allow mills to undertake duty-free import raw sugar duty-free up to March 31, 2010. At present, this facility is open only till August 1. 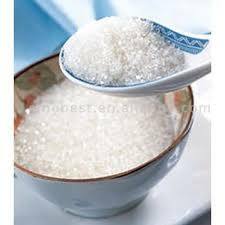 Meanwhile, now only three state-owned agencies STC (State Trading Corporation), MMTC (Minerals and Metals Trading Corporation) and PEC (Project Equipment Commodities) are allowed to import up to 10 lakh tonnes (lt) of white sugar at zero duty. Moreover, even this facility, granted by the Union Cabinet on April 9, is available only up to August 1.